Created a customer persona (a.k.a. ideal client avatar)? Check! Conducted keyword research to find out what your customer is searching for? Check! Well done! You’re well on your way to creating website content that speaks directly to your target customer. There is more you can do, however, to go deeper with your customer. Because the more you know about your target audience, the better your connection will be. You’ll be able to resonate with them, empathize with them and show them that you “get it.” And that “they really get me” moment for your customer? It’s invaluable to your business. Your Target Audience: What’s the Big Deal? 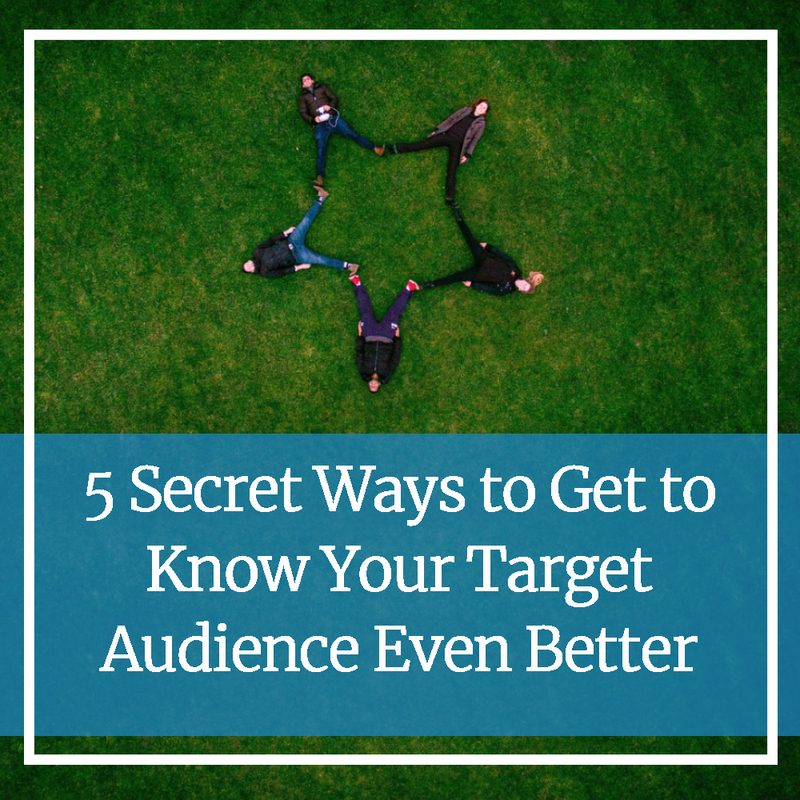 We talk about knowing your target audience a whole heck of a lot around here. That’s because you can’t have a successful marketing strategy without knowing who you’re marketing to. You can’t write compelling website copy when you don’t know who you’re writing it for. In fact, if you attempt to do any of this without knowing your audience, it’s a complete waste of your time. Attempting to sell ice to Elsa would be impossible. But selling crocodile repellant to Captain Hook? That just works. By using these secret tricks, you can get to know your target audience even better than you do now. Although you can’t hang out with all of your prospects, you can go where they go. For example, sponsor and attend local conferences or events that matter to them and network. Call up a friend that might benefit from your services and ask them questions. Hanging out with your audience helps you learn their language so you can use it in your copy. If you have an email list, a social media profile or even a blog, using a survey is a great way to connect with your audience. Create a survey using a Google Form or services such as Typeform and Survey Monkey. Once created, you can publish your survey, asking your audience for their thoughts. Surveys are also a great way to connect with current customers, gathering their feedback on how you can improve your messaging, services and customer experience, to name a few. Social cues are non-verbal or verbal hints–such as facial expressions—gathered from others during social interactions. Did you know you can also use these online? Social media is a great place to look for these clues. Try this out by looking at the conversations on Facebook posts between your competition and their customers. These social cues—seeing how your customers prefer to communicate with other businesses in your niche—can give you great insight into how you can better connect with your audience. Do you have a blog post that was shared more than all the others? Do you have a social media post that went viral? Dive deeper into these particular engagements, as they provide you insight into what content your audience wants more of. Beyond social media, you can use online resources to help you learn more about your target audience. For example, Quora is a great place to see what questions your audience is asking frequently. Forum websites such as Reddit often house discussions that relate directly to your niche. Enter your target keywords into the search boxes on these websites to find conversations happening on those topics. You might be surprised by what you find! Knowing your target audience is one of the first steps to creating successful website content. To learn more about discovering your target audience, send us a message.